Have you had your eye on a new Volkswagen Atlas or Jetta? Come into Lakeland Volkswagen, your Lakeland, Florida Volkswagen dealership to check out your dream car in person, and even take it for a test drive. Our sales team can answer all of your questions about the fantastic selection of new Volkswagen cars and SUV we have on our lot. Schedule your test drive today. Scores 40 Highway MPG and 30 City MPG! This Volkswagen Jetta delivers a Intercooled Turbo Regular Unleaded I-4 1.4 L/85 engine powering this Automatic transmission. ROADSIDE ASSISTANCE KIT -inc: booster cables, warning triangle, LED flashlight, work gloves, multi-tool, and more, MONSTER MATS W/LOGO RUBBER MATS KIT (SET OF 4) -inc: heavy duty trunk liner w/VW CarGo blocks, Window Grid Diversity Antenna. *This Volkswagen Jetta Comes Equipped with These Options *Wheels: 16 Silver Rama, Variable Intermittent Wipers, Urethane Gear Shift Knob, Trunk Rear Cargo Access, Trip Computer, Transmission: 8-Speed Automatic w/Tiptronic -inc: sport mode, Torsion Beam Rear Suspension w/Coil Springs, Tires: 16 All-Season, Systems Monitor, Strut Front Suspension w/Coil Springs. * Stop By Today *Stop by Lakeland Volkswagen located at 209 S. lake Parker Ave, Lakeland, FL 33801 for a quick visit and a great vehicle! Scores 40 Highway MPG and 30 City MPG! This Volkswagen Jetta delivers a Intercooled Turbo Regular Unleaded I-4 1.4 L/85 engine powering this Automatic transmission. ROADSIDE ASSISTANCE KIT -inc: booster cables, warning triangle, LED flashlight, work gloves, multi-tool, and more, MONSTER MATS W/LOGO RUBBER MATS KIT (SET OF 4) -inc: heavy duty trunk liner w/VW CarGo blocks, DRIVER ASSISTANCE PACKAGE -inc: blind spot monitor w/rear traffic alert, heated side mirrors, forward collision warning, Autonomous Emergency Braking (AEB) and pedestrian monitoring. * This Volkswagen Jetta Features the Following Options *Wheels: 16 Silver Rama, Variable Intermittent Wipers, Urethane Gear Shift Knob, Trunk Rear Cargo Access, Trip Computer, Transmission: 8-Speed Automatic w/Tiptronic -inc: sport mode, Torsion Beam Rear Suspension w/Coil Springs, Tires: 16 All-Season, Systems Monitor, Strut Front Suspension w/Coil Springs. * Visit Us Today *Test drive this must-see, must-drive, must-own beauty today at Lakeland Volkswagen, 209 S. lake Parker Ave, Lakeland, FL 33801. Scores 40 Highway MPG and 30 City MPG! This Volkswagen Jetta boasts a Intercooled Turbo Regular Unleaded I-4 1.4 L/85 engine powering this Automatic transmission. ROADSIDE ASSISTANCE KIT -inc: booster cables, warning triangle, LED flashlight, work gloves, multi-tool, and more, MONSTER MATS W/LOGO RUBBER MATS KIT (SET OF 4) -inc: heavy duty trunk liner w/VW CarGo blocks, DRIVER ASSISTANCE PACKAGE -inc: blind spot monitor w/rear traffic alert, heated side mirrors, forward collision warning, Autonomous Emergency Braking (AEB) and pedestrian monitoring. * This Volkswagen Jetta Features the Following Options *Wheels: 16 Silver Rama, Variable Intermittent Wipers, Urethane Gear Shift Knob, Trunk Rear Cargo Access, Trip Computer, Transmission: 8-Speed Automatic w/Tiptronic -inc: sport mode, Torsion Beam Rear Suspension w/Coil Springs, Tires: 16 All-Season, Systems Monitor, Strut Front Suspension w/Coil Springs. 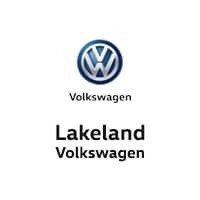 * Stop By Today *A short visit to Lakeland Volkswagen located at 209 S. lake Parker Ave, Lakeland, FL 33801 can get you a dependable Jetta today! Scores 40 Highway MPG and 30 City MPG! This Volkswagen Jetta boasts a Intercooled Turbo Regular Unleaded I-4 1.4 L/85 engine powering this Automatic transmission. Window Grid Diversity Antenna, Wheels: 16 Two-Tone Rama Black, Variable Intermittent Wipers. * This Volkswagen Jetta Features the Following Options *Trunk Rear Cargo Access, Trip Computer, Transmission: 8-Speed Automatic w/Tiptronic -inc: sport mode, Torsion Beam Rear Suspension w/Coil Springs, Tires: 16 All-Season, Systems Monitor, Strut Front Suspension w/Coil Springs, Steel Spare Wheel, Single Stainless Steel Exhaust, Side Impact Beams. * Visit Us Today *Test drive this must-see, must-drive, must-own beauty today at Lakeland Volkswagen, 209 S. lake Parker Ave, Lakeland, FL 33801. Scores 40 Highway MPG and 30 City MPG! This Volkswagen Jetta delivers a Intercooled Turbo Regular Unleaded I-4 1.4 L/85 engine powering this Automatic transmission. Window Grid Diversity Antenna, Wheels: 16 Two-Tone Rama Black, Variable Intermittent Wipers. *This Volkswagen Jetta Comes Equipped with These Options *Trunk Rear Cargo Access, Trip Computer, Transmission: 8-Speed Automatic w/Tiptronic -inc: sport mode, Torsion Beam Rear Suspension w/Coil Springs, Tires: 16 All-Season, Systems Monitor, Strut Front Suspension w/Coil Springs, Steel Spare Wheel, Single Stainless Steel Exhaust, Side Impact Beams. * Stop By Today *Come in for a quick visit at Lakeland Volkswagen, 209 S. lake Parker Ave, Lakeland, FL 33801 to claim your Volkswagen Jetta! The financing team at Lakeland Volkswagen in Lakeland, FL specializes in helping Volkswagen drivers get behind the wheel of the perfect car at the right price. Talk to the team today about Volkswagen loans, leasing a Volkswagen Tiguan, or trading in your used Volkswagen vehicle. We’re here to help! Keep your brand-new Volkswagen Golf or Passat running smoothly by bringing it in for regular service at our Lakeland, FL Volkswagen auto shop. The expert Volkswagen mechanics at Lakeland Volkswagen can take care of oil changes, tire rotations, and engine diagnostics. We also have an enormous selection of Volkswagen parts and accessories available to buy. Schedule your next Volkswagen service appointment today. We appreciate your interest in our inventory, and apologize we do not have model details displaying on the website at this time. Please fill the form out below and our team will quickly respond, or, please call us at (863) 804-6160 for more information.